Is it curtains for the Clue Crew? Uh-oh, the Clue Crew has competition! 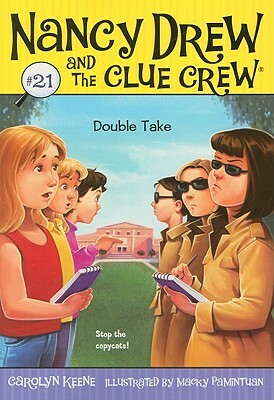 When a classmate's prized possession goes missing, Nancy and her friends know that this is a perfect case for the Clue Crew -- until snobby classmate Deirdre Shannon steps in with her rival sleuthing club, the Klue Krew. Nancy, George, and Bess agree to go head-to-head with Deirdre and her friends to see who can find the missing jacket first. The winner gets to be the only detective club at River Heights Elementary. Can Nancy solve the case first and keep the Clue Crew from going under?